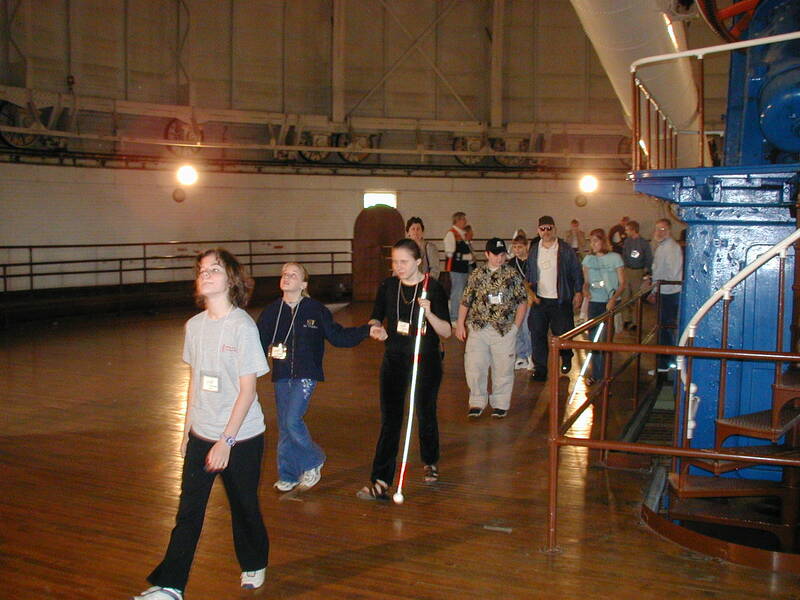 Fieldtrip from the Wisconsin School for the Visually Handicapped to Yerkes Observatory. 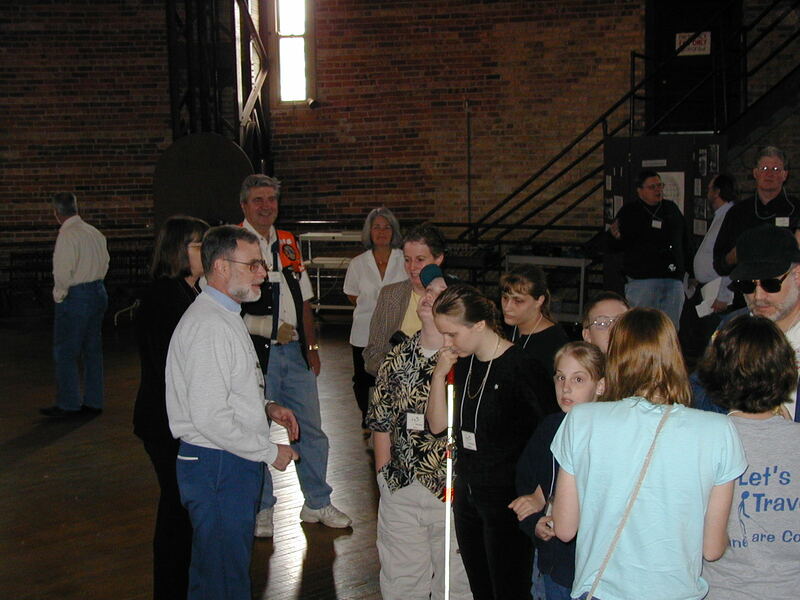 Students and Staff from the Wisconsin School for the Visually Handicapped arrive at Yerkes Observatory. From left to right: Kathy Arndt (Acting Principal), Paul Kowald, Bernhard Beck-Winchatz (DePaul University), Tauri Ramsey, Kris White, Jessica Raichle, Kay Waelti (Administrative Assistant), Grace King, Chelsea Reilly, Angelica Hope, Kelly Bailey (Teacher). 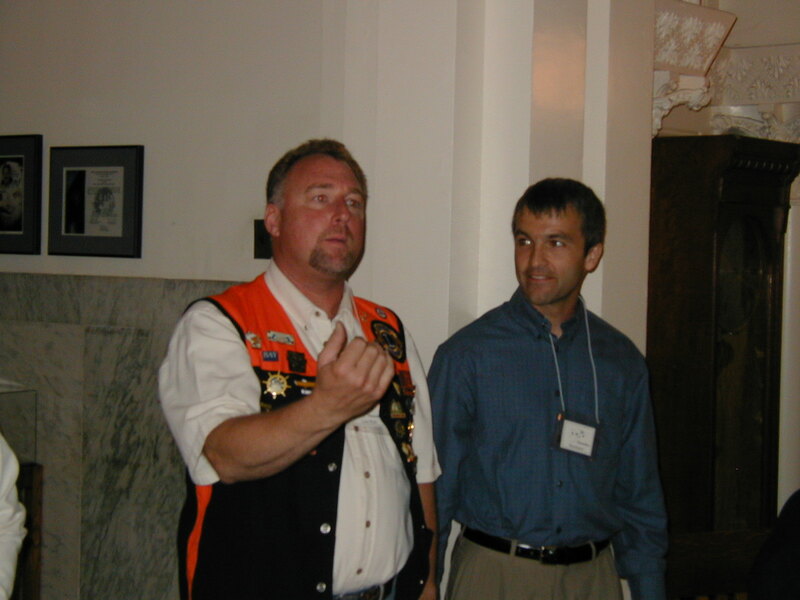 Rick Pfenning, President of the Williams Bay Lion's Club, and Dr. Bernhard Beck-Winchatz, Principal Investigator of the Space Exploration Experiences for the Blind and Visually Impaired (SEE Project). The Lion's Club officially presented SwellForm Graphics Machine to Yerkes Observatory for use in the NASA/OSS-funded SEE Project. 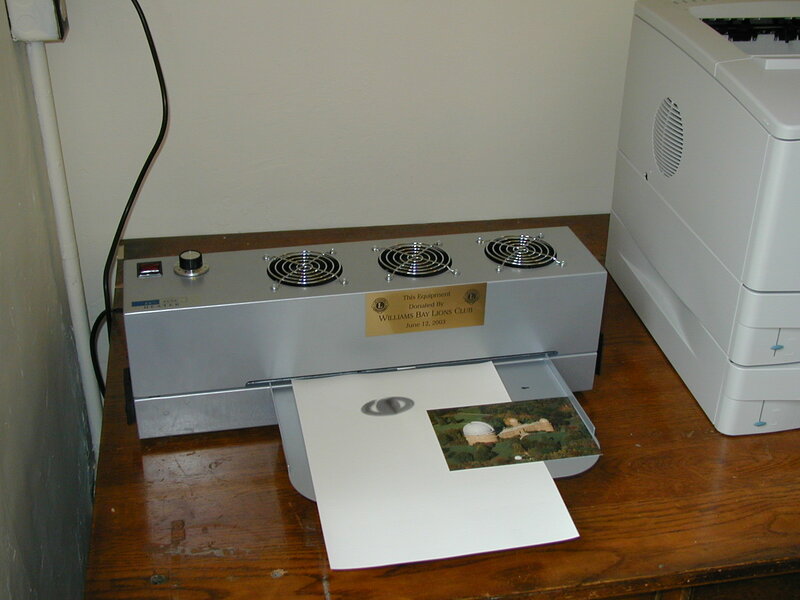 The SwellForm Graphics Machine donated by the Williams Bay Lion's Club with a "first light" image of Saturn. 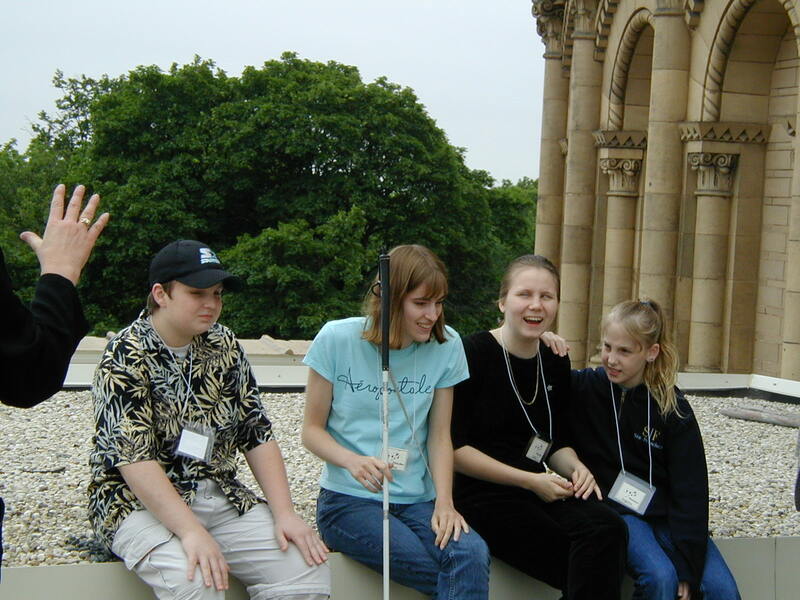 The image was taken with one of the Yerkes rooftop telescopes, which blind and visually impaired students from the Wisconsin School for the Visually Handicapped and the Colorado School for the Blind will be using remotely in the SEE Project. 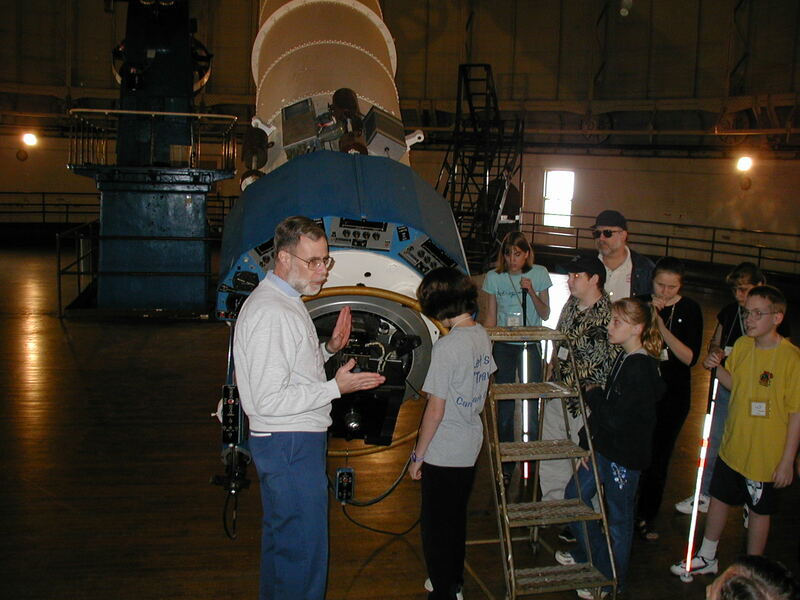 Dr. Kyle Cudworth, Director of Yerkes Observatory, talks to the students about the history of Yerkes Observatory's 106-year-old observatory. 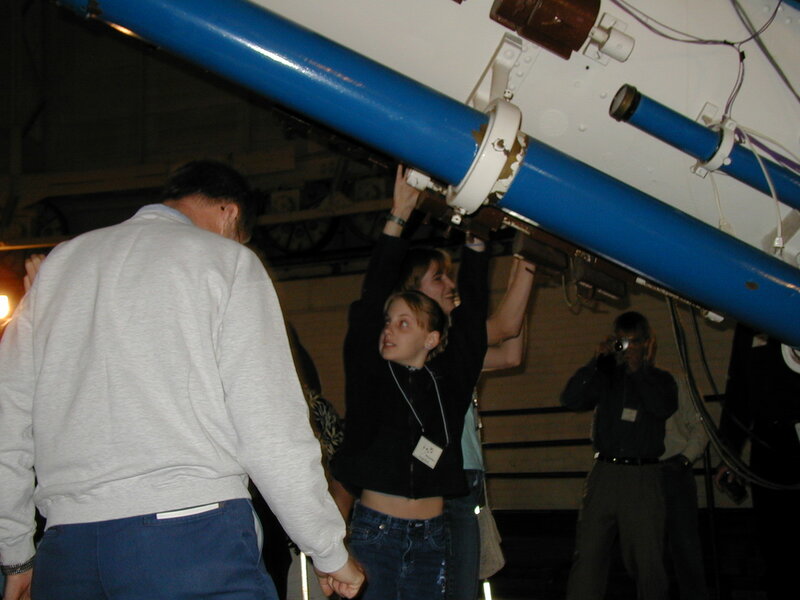 Angelica Hope and Tauri Ramsey operate the 75-foot diameter movable floor in the 40-inch refractor dome. 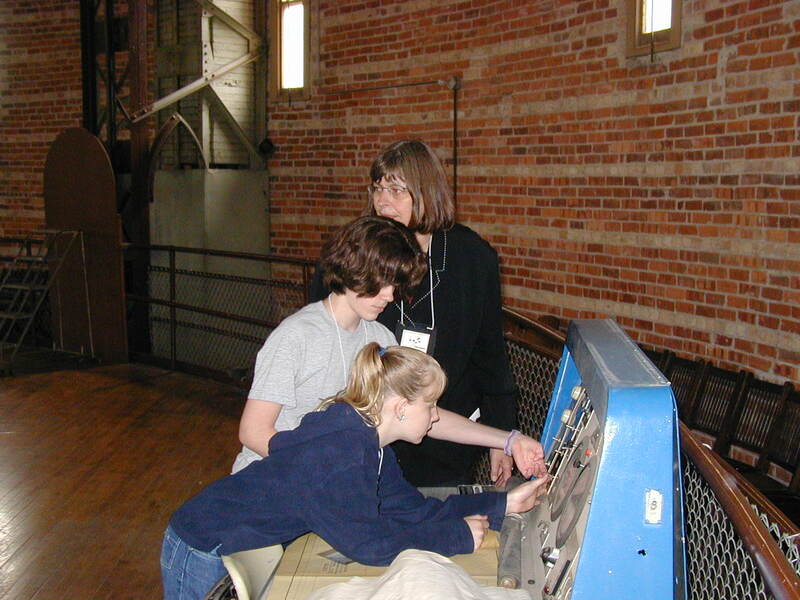 Behind them is Vivian Hoette, education specialist for Yerkes Observatory, the SOFIA mission and Hands-On Universe. 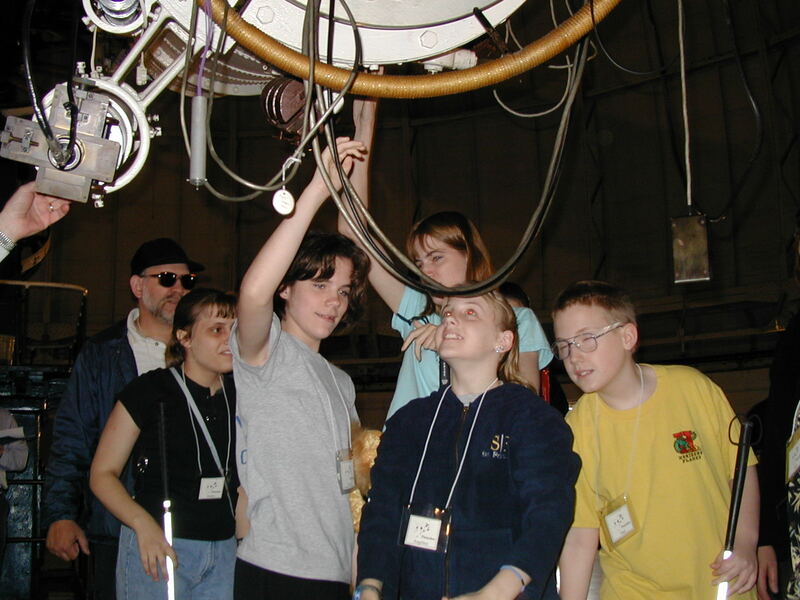 The students explore the 106-year-old 40-ich refractor at Yerkes Observatory. 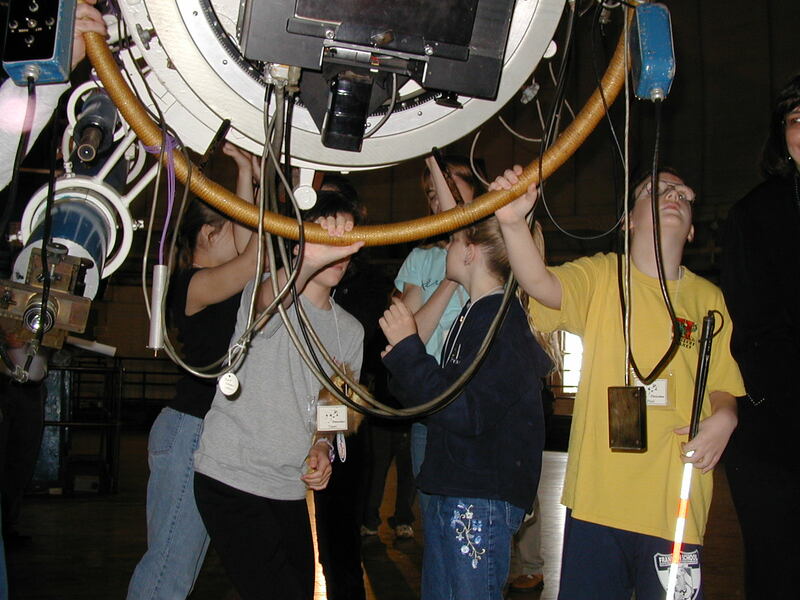 In spite of it's weight of six tons and length of 63 feet the students were able to move the telescope by hand. 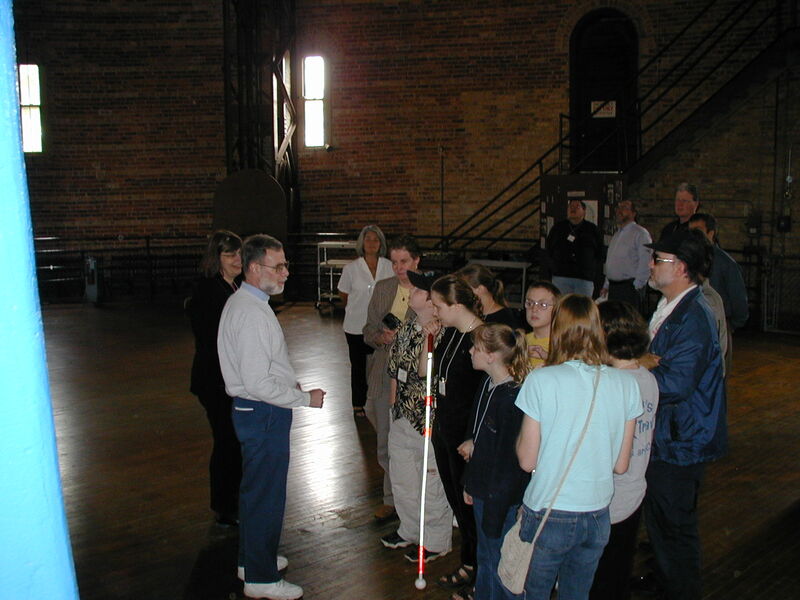 The students experience the rotation of Earth by measuring the changing distance between the telescope and a step ladder as the telescope follows a virtual object across the sky. 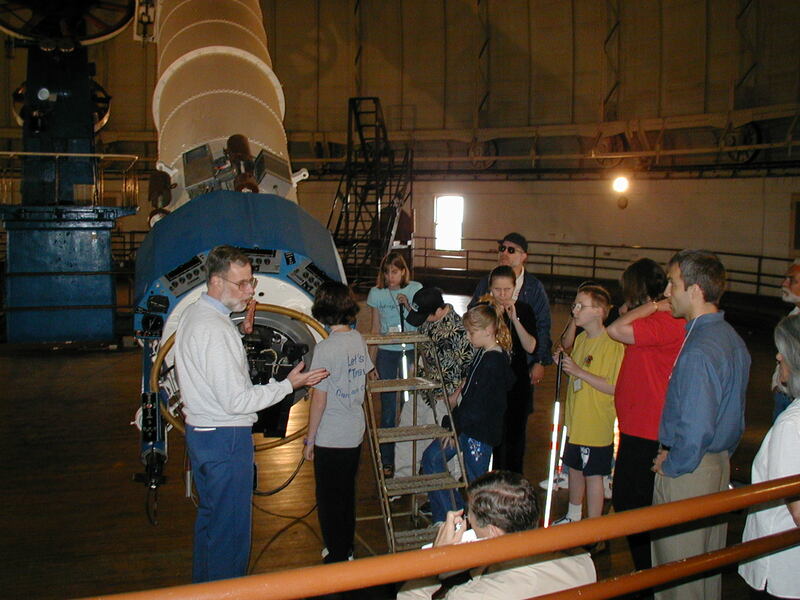 The students get a sense of the length of the 40-inch refractor by walking from one end of the telescope to the other. 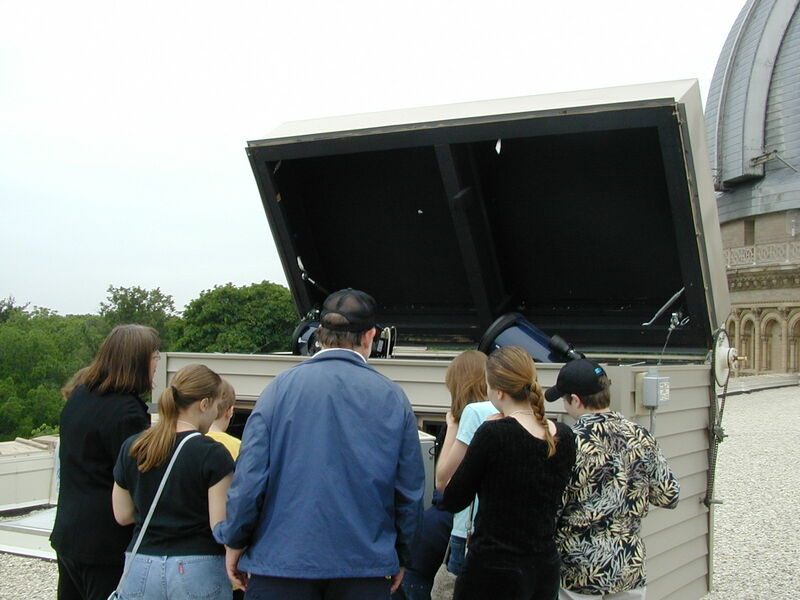 Kris White, Chelsea Reilly, Grace King, and Angelica Hope enjoy a brief break on the roof of Yerkes Observatory. 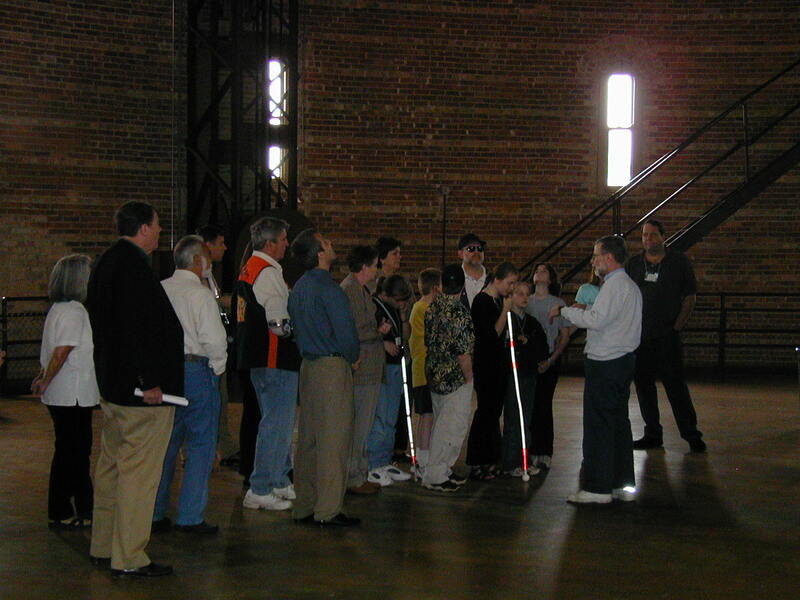 The outside of the 40-inch dome can be seen in the background. 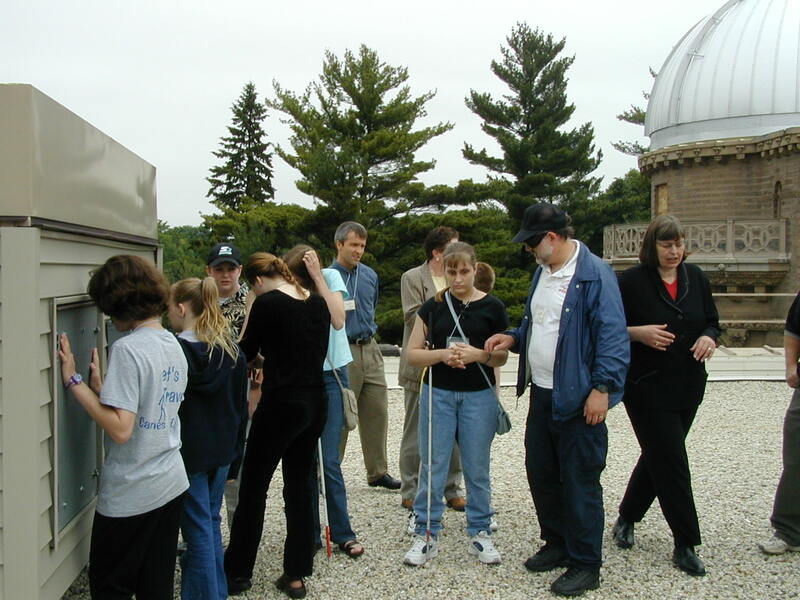 The students explore the Yerkes rooftop observatories and its two telescopes. 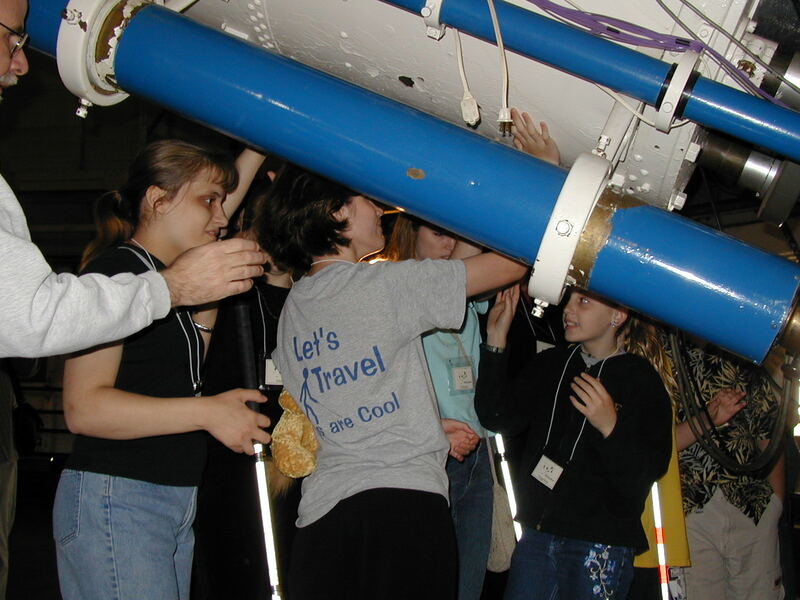 They will be operating these telescopes remotely from their school in Janesville, WI as part of the SEE Project. 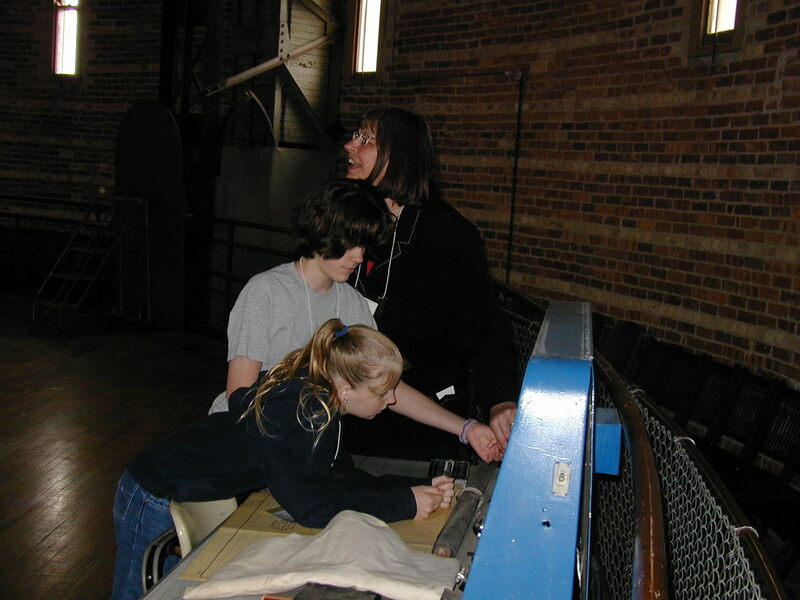 Angelica Hope and Tauri Ramsey look through the eyepieces of Yerkes Observatory's 24-inch reflector and its finder-scope. 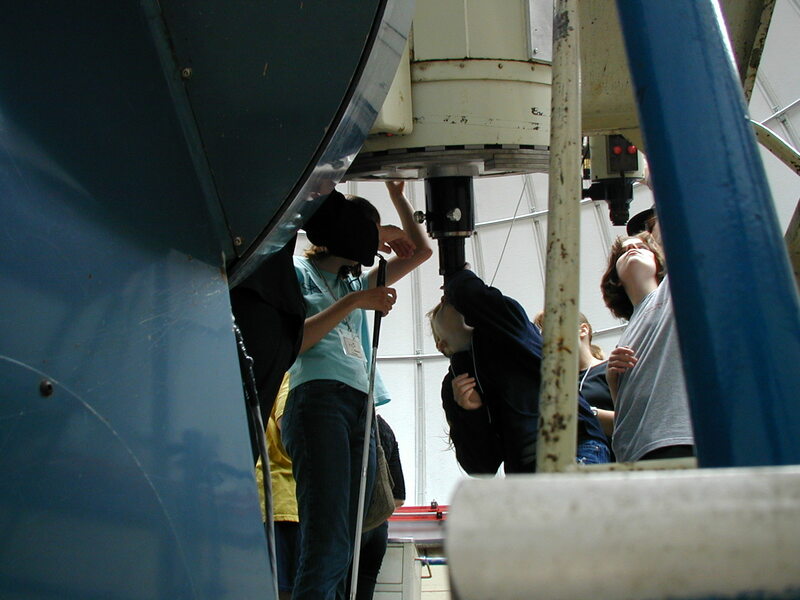 The students will make their own observations with this telescope during the two 3-day SEE Project summer programs in 2004 and 2005. 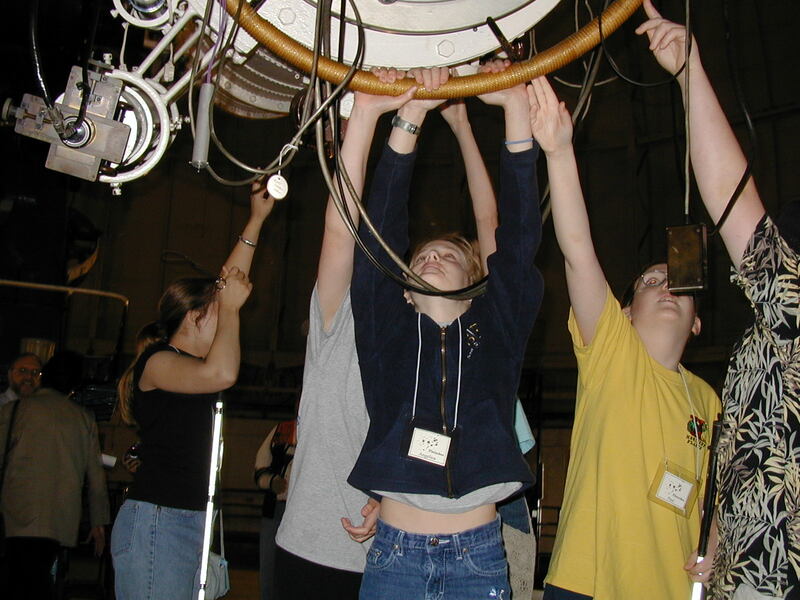 Grace King, Chelsea Reilly, and Angelica Hope touch the 24-inch reflector, and compare its diameter with that of the 40-inch refractor. 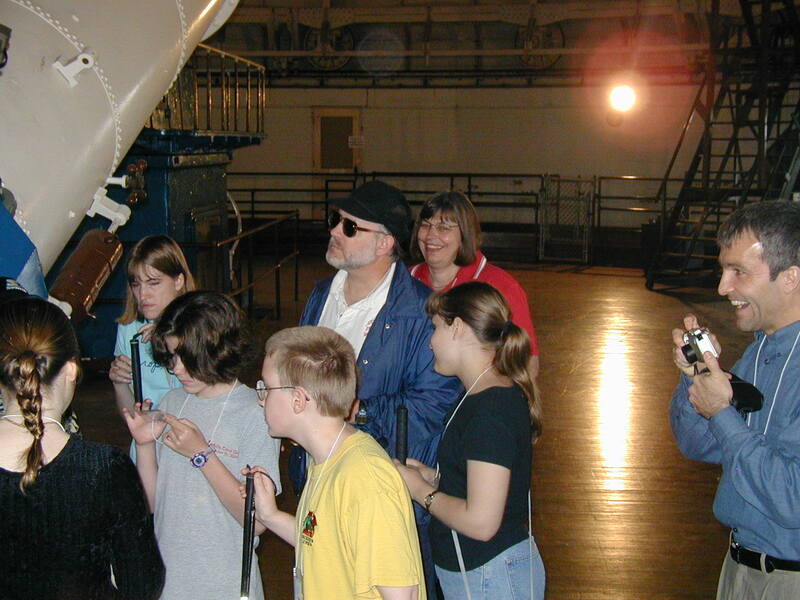 Dr. Al Harper, Principal Investigator of the far-infrared High-resolution Airborne Wideband Camera (HAWC), explains the location of the 2.5-meter telescope aboard the SOFIA Boeing 747 to Kris White, Grace King, and Angelica Hope. Kelly Bailey, teacher at the Wisconsin School for the Visually Handicapped, discusses the SOFIA Boeing 747 with senior Chelsea Reilly. Grace King, Kris White, and Angelica Hope explore a model of SOFIA. Jessica Raichle disentangles cables she will use to build an infrared and visible light detector consisting of a photo cell and a speaker. 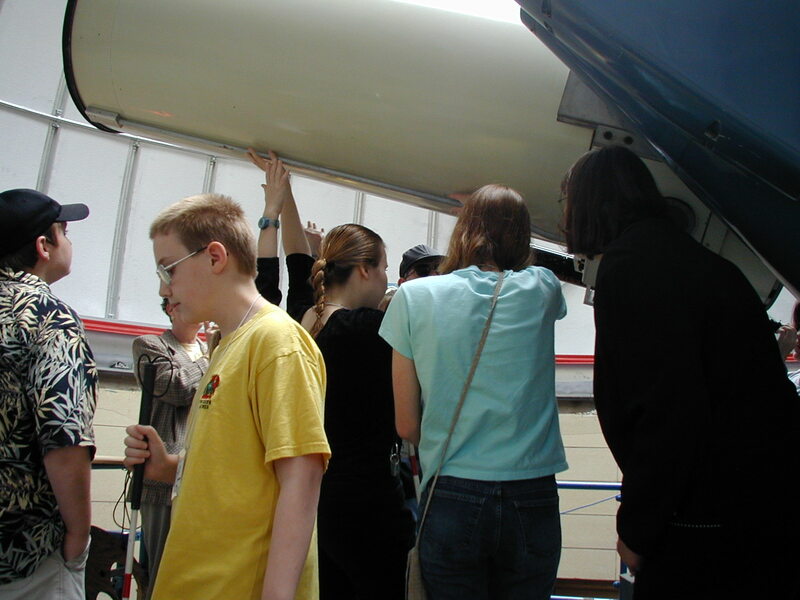 The detector is part of a kit that was developed by the SOFIA education and public outreach program. 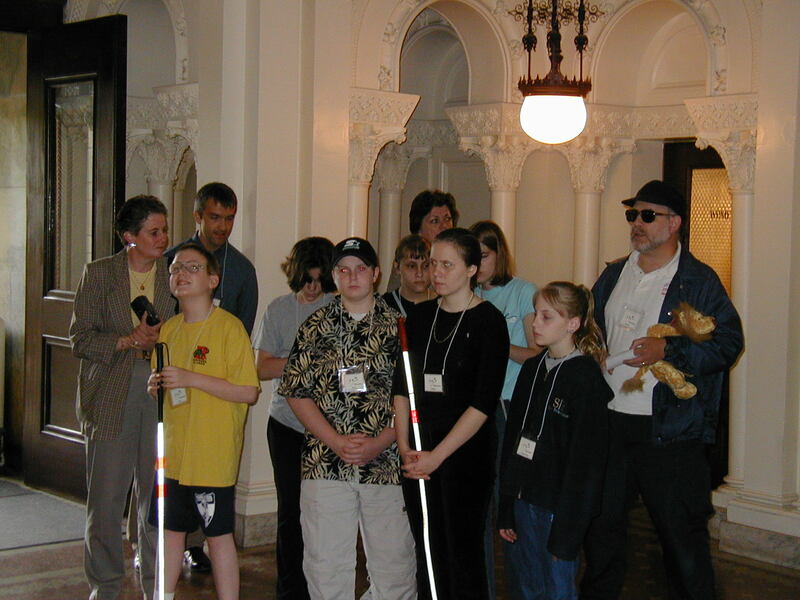 Acting Principal Kathy Arndt watches as students from the Wisconsin School for the Visually Handicapped build light detectors. 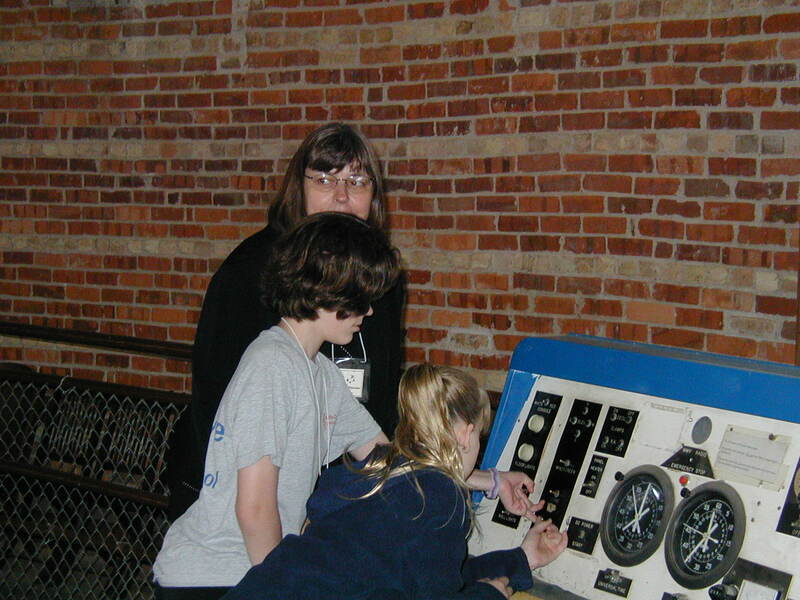 Angelica Hope checks the audio signal from her detector. Jessica Raichle listens to the audio signal generated by the infrared light of a television remote control. 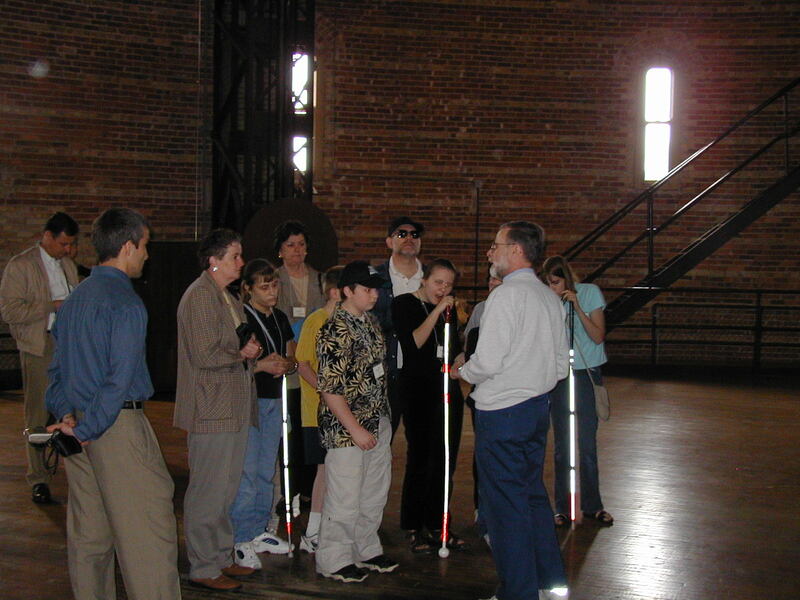 The most interesting discoveries in space science today are made in the infrared and "invisible" regions of the electromagnetic spectrum, where every human is blind. 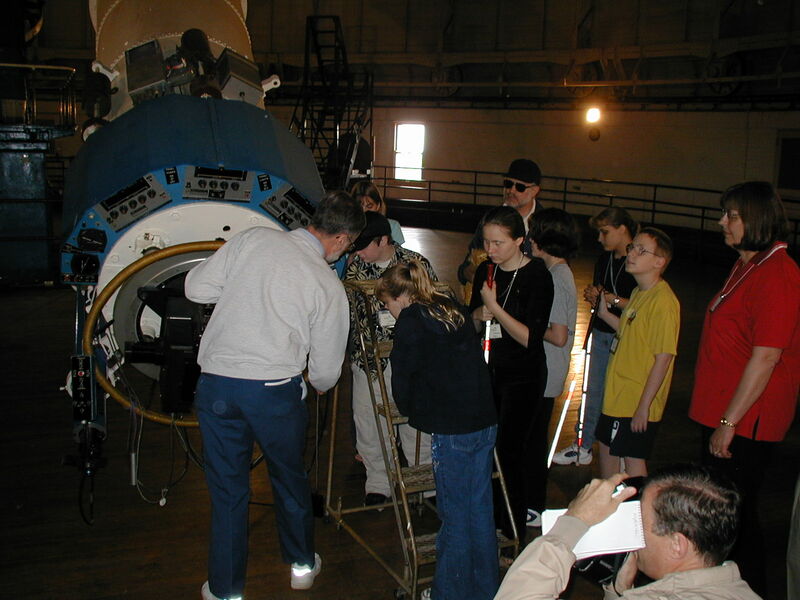 Tauri Ramsey uses her detector and a small fan as chopper to detect light emitted by a flashlight. 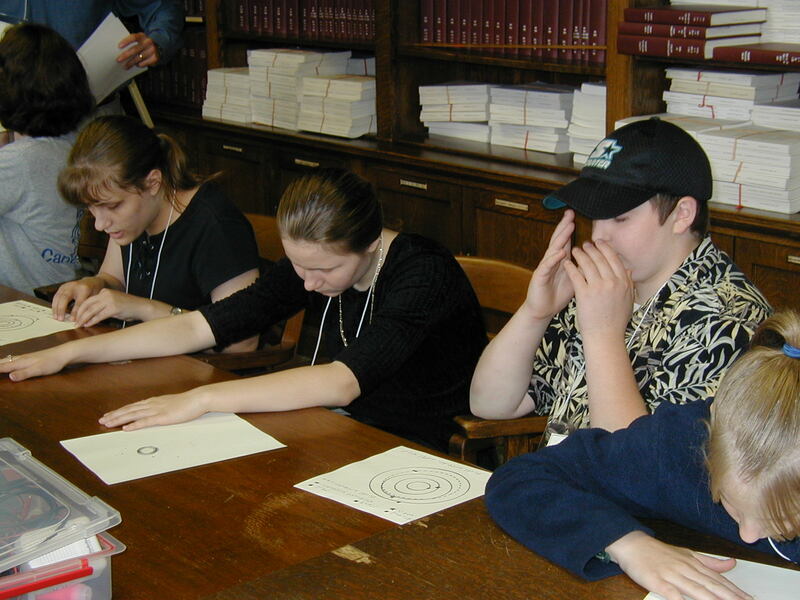 Jessica Raichle, Grace King, Chris White, and Angelica Hope experiment with infrared light emitted by a remote control. 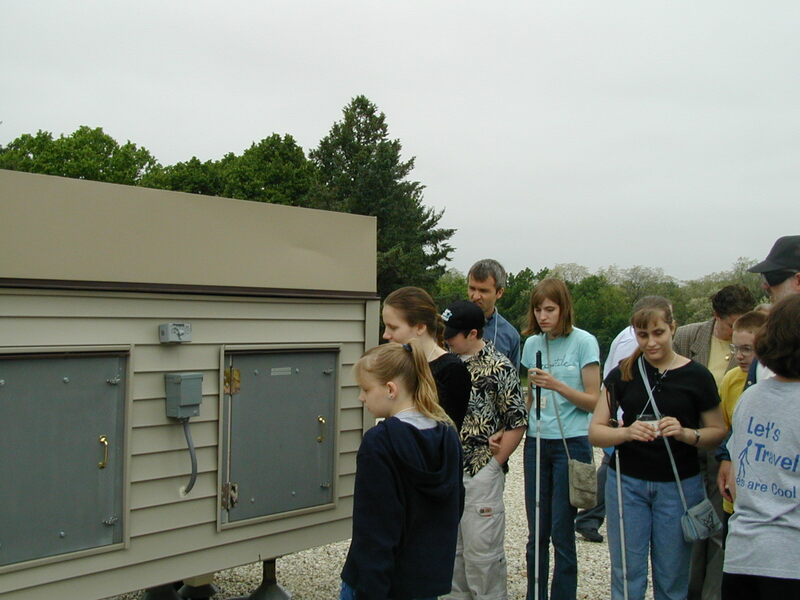 Kelly Bailey explains how the students could connect the infrared detectors to their televisions at home to stop their parents from excessive channel surfing. 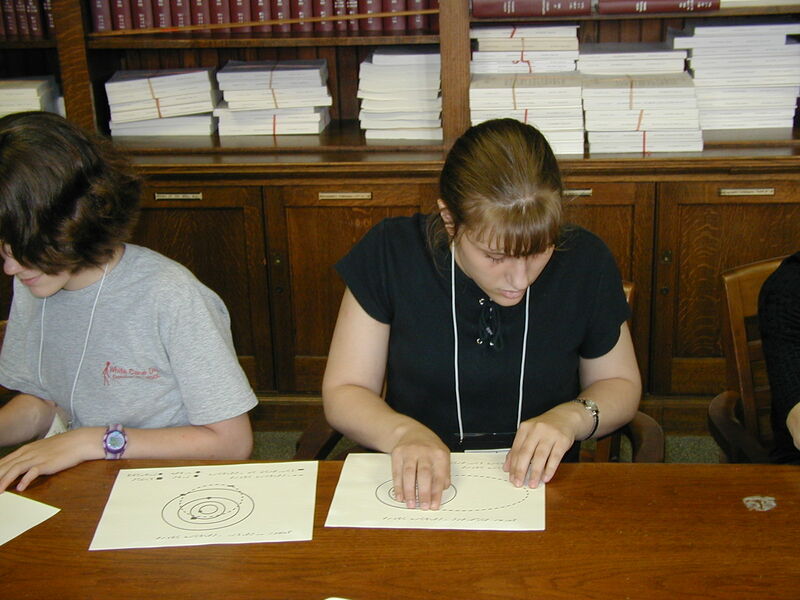 Jessica Raichle, Tauri Ramsey, Grace King, Kris White, and Angelica King study scale models of near-Earth asteroids and diagrams of their orbits. 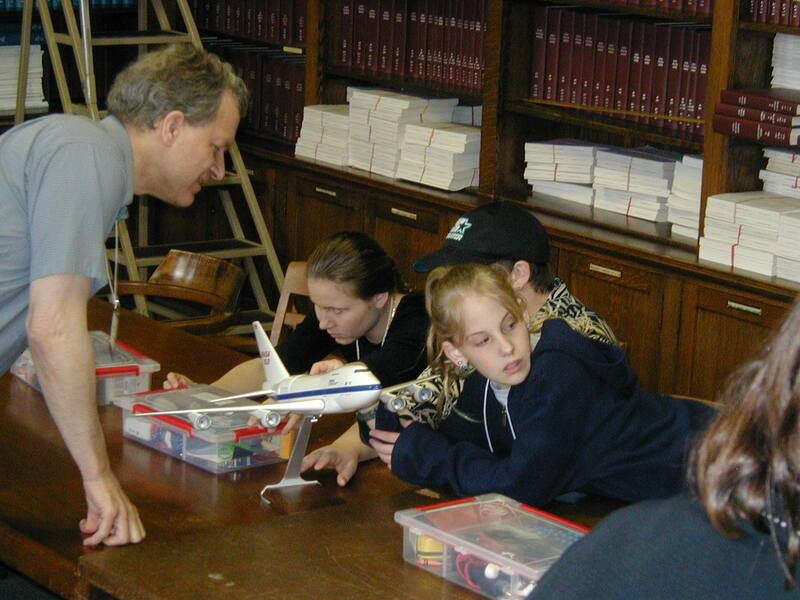 The models were donated by Dr. Steve Ostro (Jet Propulsion Laboratory). 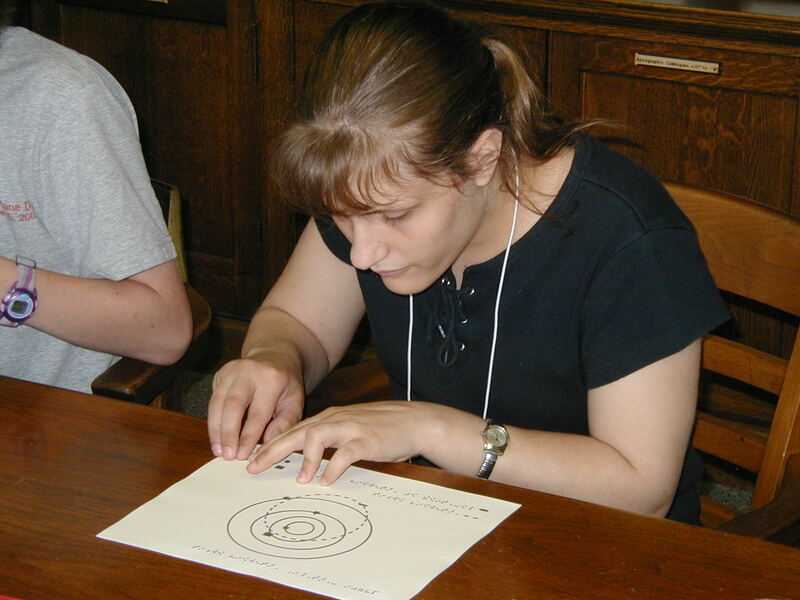 The orbit diagrams were created with http://neo.jpl.nasa.gov/orbits/, and adapted and converted into tactile format by Noreen Grice (Boston Museum of Science) with a thermal expansion machine.